is a free site for educators interested in collaborating on teaching global issues. 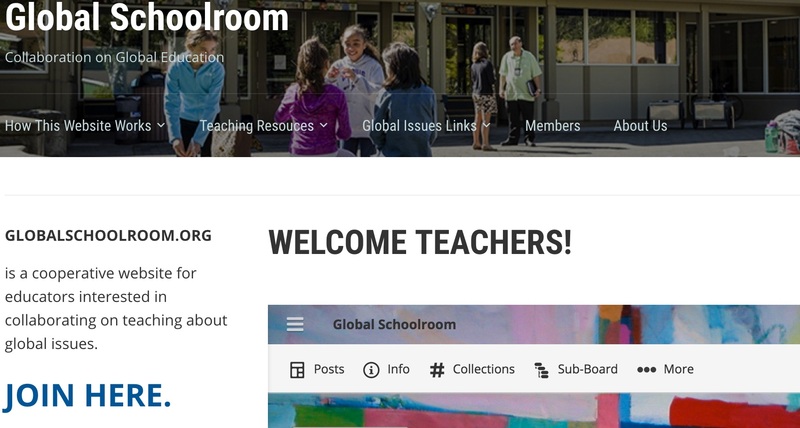 At Global Schoolroom, you can share your ideas and resources and find other educators interested in having their students collaborate with yours on issues related to globalization. At Global Classroom, you can share assignment ideas, links to useful websites, readings for your students and so on. You can also join Global Classroom's Facebook page. This is a personal website. All views and information presented herein are my own and do not represent the views of the Fulbright Program or the U.S. Department of State. Room. To think. To grow. To write.